Now a war widow with a daughter to raise, Natalie Greenbaum and her daughter Peggy return to Port Lewis and her family. Over the next several months, Natalie does her best to adapt to life on the Home Front. Reunions with old friends and a fond lover are bittersweet and brief, as the war changes the courses of people's lives, even on the Home Front. 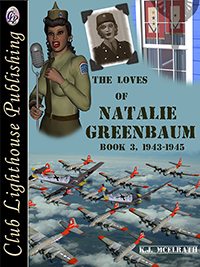 Attacks on American soil that place her life and those of her loved ones in jeopardy motivate Natalie to enlist. However, she is classified “4F,” and rejected by both the WACS and the WAVES. Natalie eventually signs up with the USO as an entertainer. 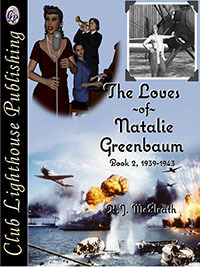 After a short reunion with her former lover Esther in New York, Natalie and her accompanist, Pops, are sent overseas. They spend several months in England, touring military bases and entertaining military personnel. 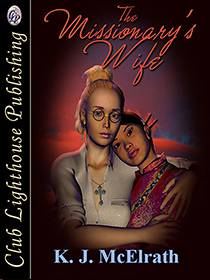 While staying in an English village near an Army Air Force base where her brother is serving, she meets up once again with her lover, the aviatrix Bonnie. For several months, they resume their affair off and on as they are able. They after a few idyllic weeks together during the autumn of 1944 in a newly-liberated Paris, Natalie and Bonnie part yet again. 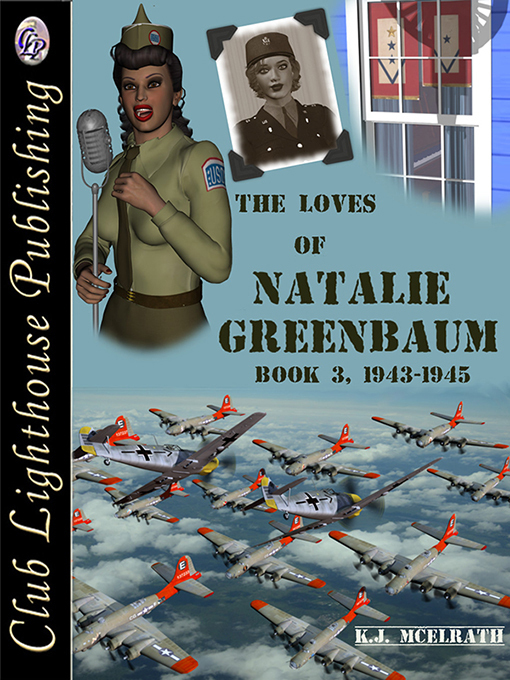 Natalie and Pops then leave for the “Foxhole Circuit,” taking their show to the troops in the combat zones. Natalie finds that while Hitler's Germany may be on the run, it is not finished. It isn't over by a long shot...and for part of her soul, the war may never end. Fourteen hours later, an exhausted Natalie drove herself and her parents through the darkened streets of Port Lewis (Peggy had stayed home with Daisy that night). As was the case with all coastal towns and cities, a blackout was in effect; street lights were left off, people were required to have shades and curtains drawn. Automobile headlights were covered except for narrow slits – barely enough to see at night. It was necessary to travel slowly in the dark. The Greenbaum family sedan was virtually the only motor vehicle out at 2:30 AM as it traveled along Bayshore Boulevard. Natalie's fatigued eyes were fixed firmly on the road ahead as her aging parents dozed in the back seat. She saw the explosion before she heard it. A second later, the force of the concussion pushed the vehicle sideways. Had Natalie not been traveling as slowly as she had, she would have lost control of the car altogether. “What's happening?” asked Emmaline, suddenly awake. “I don't know,” said Natalie, stepping on the gas pedal and causing the car to leap ahead. It was none too soon; right behind them was another explosion. 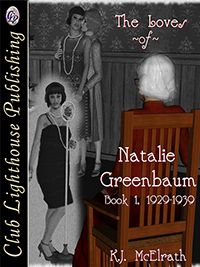 “I've got to get us out of here!” Natalie said, speeding ahead into the darkness. Over the roar of the engine, they heard sirens. Looking out the back window, Emmaline and Isaac saw spotlights from shore-based civil defence installations – and the sound of gunfire. Operating on some kind of instinct, Natalie drove hell-bent for leather, taking the first turn off the highway that ran along the perimeter of Lewis Bay. She continued hurtling along the back streets, not stopping until they arrived home safely. She had not had time to get frightened – but once she had pulled into the driveway alongside the house and shut down the engine, she started shaking. Natalie simply nodded once more.